Why choose A1 Tub and Tile? We are not the cheapest, We are the best. We use the best-in-industry coatings, the right tools and the most experienced and trained technicians. New Jersey is our home. We live here and work here. We're not a tub reglazer on Monday, then a roofer on Tuesday, a landscaper on Wednesday, etc. We are bathroom experts who know how to refinish tubs, refinish tile and refresh a bathroom to make it like new! We've been around over 10 years and built our business on referrals from satisfied customers. 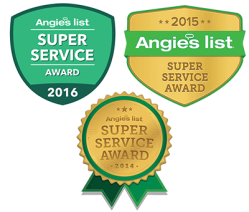 We're an Angie's list super service award winner 3 years running. When you call you speak to us, not a referral or listing agency. A1 Tub and Tile was founded in 2005 by Russell Borner originally from Rahway, N.J. After many years in the service industry in various positions, Russ was living in western Australia where he first stumbled upon reglazing and thought what a great alternative to gutting out an entire bathroom. Upon his return back to the good ole USA he started researching companies that teach this method and found out that all refinishers/glazers are not created equal. After searching high and low he came upon a man named Bob Alexander from a company called Topkote here in New Jersey. Russ saw the difference in the product his company uses and decided to use their methods. In the early years, Russ focused exclusively on refinishing Bath Tubs, surround tile and countertops. As his reputation grew, his satisfied customers always asked him for recommendations on other bathroom services such as painting and tile installation. 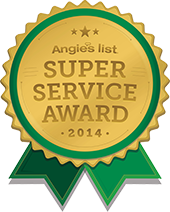 Russ recommended his good friend and General Contractor, Mike Rego, for these services. It was only natural that Mike and Russ services merged together to meet the demand of many customers. 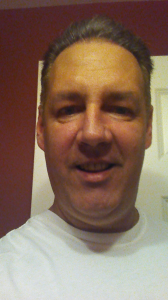 Russ is known throughout the industry as a Master Refinisher and oversees all of the refinishing projects while Mike with over 20 years in construction takes care of any contracting requests. As you view our website you will find the additional services we provide. We at A1 Tub and Tile look forward to serving you and working on your next project!